Every child deserves the financial support necessary to thrive, but the amount a parent can contribute will vary widely based on their own financial circumstance. However, having a valid order in place can help make sure all parties understand their responsibilities. If you need to establish or modify a child support order, Chambers Law Office can help. The attorneys at Chambers Law Office will take the time to listen to your goals and concerns, and help guide you through the process step-by-step. The first step in establishing child support is to make sure that paternity has been established. If the child was born during a marriage, then paternity is assumed. If not, a paternity test may be required. Some clients need assistance setting up a child support order for the first time, other clients require assistance in modifying a current order, either from a divorce settlement or through the child support court. No matter your circumstance, Chambers Law Office can help. 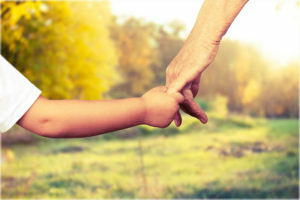 Whether you need to establish a new child support order or modify an existing one due to a change in financial circumstances, Chambers Law Office is here to help. Our office can help with establishing paternity, calculating child support payments, and petitioning the court to modify a current order. Katie Kawiecki, Of Counsel at Chambers Law Office, handles a majority of the firm’s family law matters and she represents clients in Indianapolis and throughout central Indiana, including Hamilton County, Boone County and Hendricks County. If you have questions about establishing or modifying a child support order, contact Chambers Law Office today!